Transcatheter aortic valve replacement (TAVR) is the preferred treatment for severe aortic stenosis (AS) in patients considered to be extreme-risk surgical risk and is an alternative to surgical aortic valve replacement (SAVR) in high-risk patients. Currently, the balloon-expandable SAPIEN valve and the self-expanding CoreValve are approved for TAVR in the USA. An additional four TAVR valves (Lotus, Portico, Direct Flow, and JenaValve) are in clinical trials in the USA. 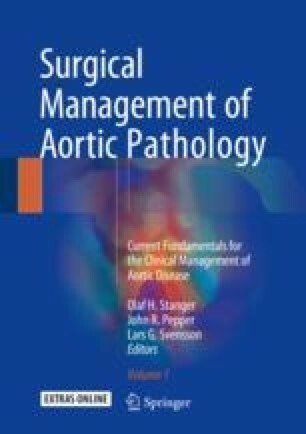 TAVR outcomes have improved over the past decade due to improvements in patient selection, operative techniques, and prevention of common complications. First, improvement of patient selection is possible with a comprehensive evaluation by a heart team using a multi-imaging strategy. Second, improvement of operative techniques is a consequence of increase operator experience and broadening of percutaneous access options. While transfemoral TAVR is the procedure of choice, transapical, transaortic, transcarotid, subclavian, and transcaval alternative access routes are also being performed. Third, improving the prevention of common complications, such as neurologic events, vascular injury, conduction abnormalities, paravalvular leaks, and acute kidney injury, is now possible with an improvement in devices and a more clear understanding of specific preoperative risk factors. Finally, TAVR is continuously evolving in the USA. In selected patients, minimalist transfemoral TAVR is feasible to avoid general anesthesia leading to a decrease in resource utilization and cost of the procedure. The potential treatment of a failing surgically implanted aortic bioprosthesis (valve-in-valve) with TAVR is also emerging as a treatment alternative in high-risk patients. Within the last year, clinical trials which evaluated the expanding role of TAVR in intermediate-risk patients have shown superiority with the transfemoral access compared to surgery in mortality. Newer randomized trials to expand the indications of TAVR to lower-risk patients are ongoing in the USA.